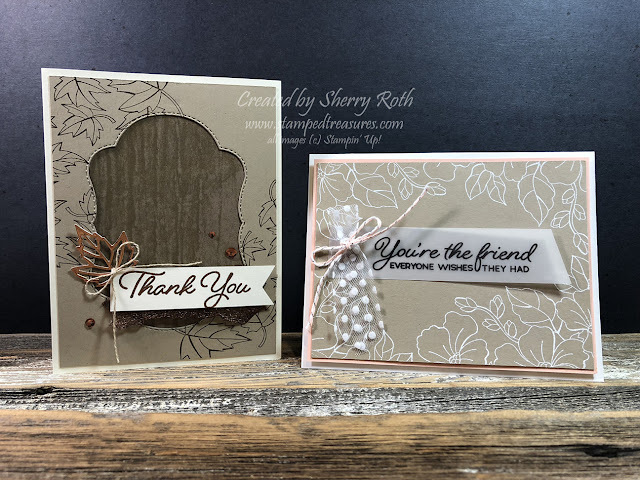 Sherry"s Stamped Treasures: Blended Seasons Cards by Stampin' Up! 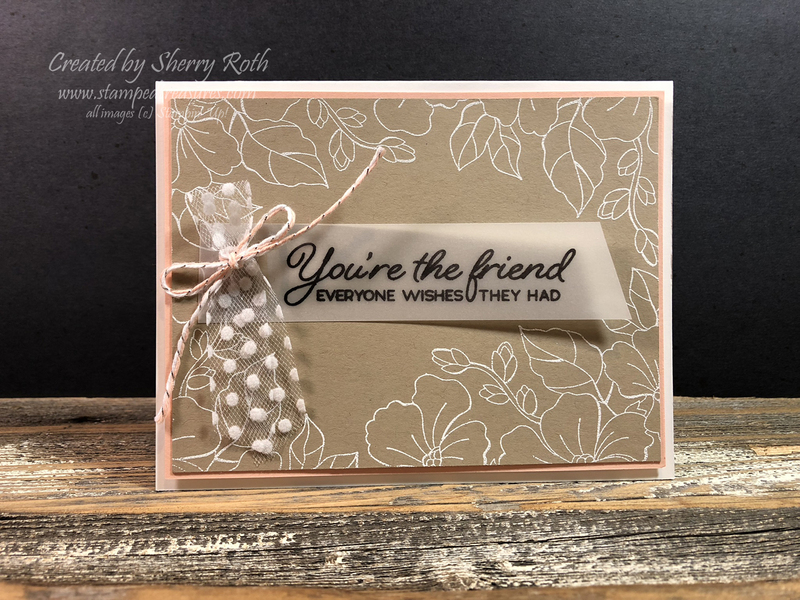 Blended Seasons Cards by Stampin' Up! I'm so excited to back to doing my Friday Facebook live videos! For those of you who are new, every Friday at 11am I host a live crafting session on my FB page. I'd love to have you join me. But for those of you can't, afterwards, I upload the video to Youtube and add it to the bottom of my blog post for the day. View the Color Your Season promotion. My favorite season is fall so I adore the leave images in this bundle - both the stamps and the framelit! If you purchase this bundle, not only will you get the stamp set and coordinating framelits but you'll also receive a coupon code for $6 to be redeemed in September as part of our Bonus Days. You know what's even better - there are no limits to the number of codes you can get! You will receive one for every $60 you spend (before shipping and tax)! Although this stamp set includes several line art images that can be colored in and look wonderful colored in. Today I wanted to show you that you can create beautiful cards and not always have to color in the images. I will be sharing several cards with you over the coming weeks with the images colored in as well. If you are in Canada, visit my online store to pick up your Blended Seasons bundle today! Use the coupon code below and with your minimum $50 order, I will send you a gift in the mail.